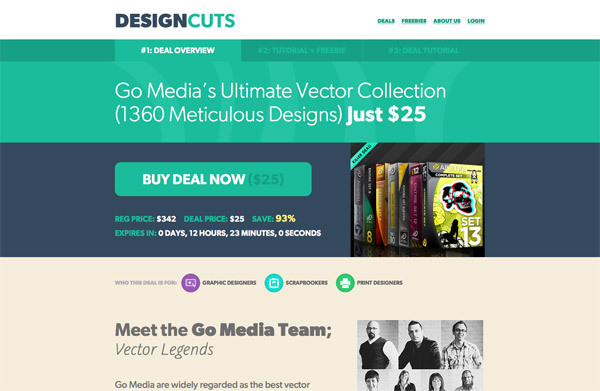 A couple of week’s ago, I ran a deal on my Access All Areas membership with my friends over at Design Cuts. It was a huge success, with over 1000 of you grabbing the deal and joining the SpoonGraphics community. 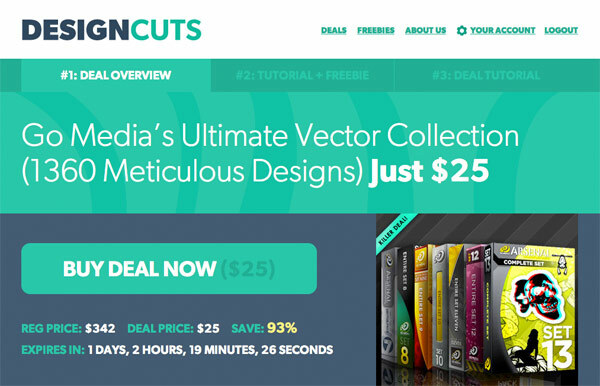 Design Cuts are currently running a brand new deal on Go Media’s Ultimate Vector Collection. The collection includes 1360 of Go Media’s most popular vectors for 93% off, and is their biggest vector pack of all time. Go Media vectors are the best in the industry, with incredible hand-drawn detail and inspired designs. I’ve used them in my own work several times, and am continually impressed by how versatile they are. They’re a great way for you to improve the illustratative quality of your work, and can be used in web and print design. I had to mentioned this bundle before it expires, as there’s only 11 hours left before the deal is gone forever. 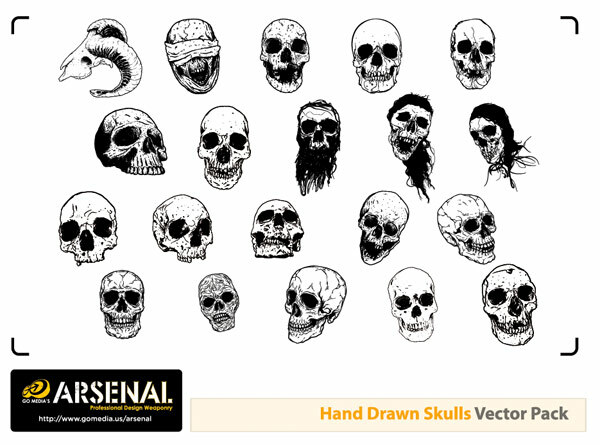 See a preview of all vectors included in this massive deal, and grab it before it expires forever. 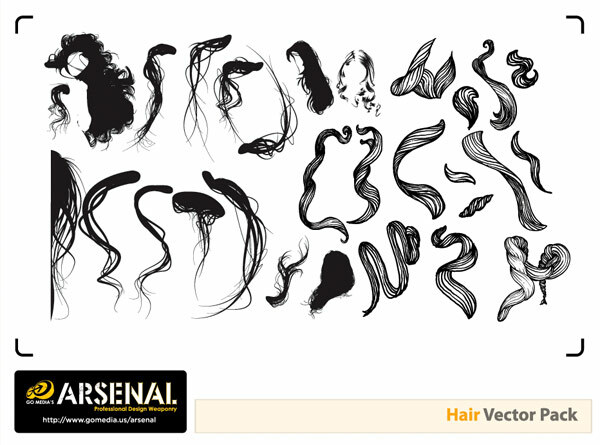 This bundle includes 49 vector packs, containing a total of 1360 amazing vectors. 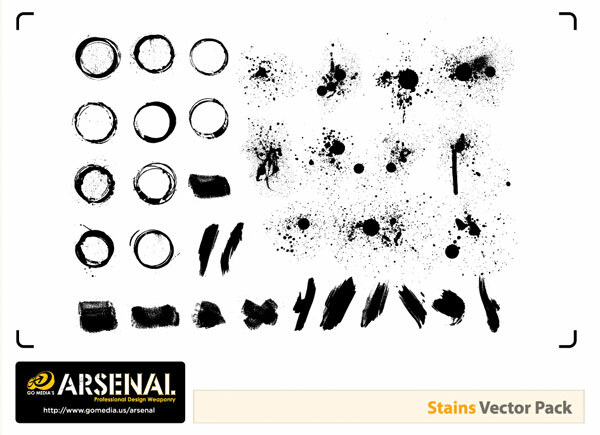 There’s so much variety in this collection that you should find a vector set for whatever project you’re working on. These vectors are regularly priced at $342, and for the next 11 hours only are discounted to 25% (that’s 93% off). Normally a single Go Media vector pack sells for $17, so to get all 1360 vectors for $25 is a one off chance. This is the only chance to grab this deal before it’s gone forever. 0 Comments submitted Add yours!